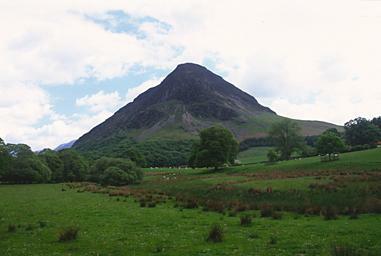 This is the formidable northern face of Mellbreak. My preferred route goes up from the right bypassing those great crags. Larger version of this picture.